There is nothing better than waking up and stepping into the bathroom in the morning for your daily shower and it being this light, bright, and calm space where each piece has been chosen with design in mind. That’s at least my dream. 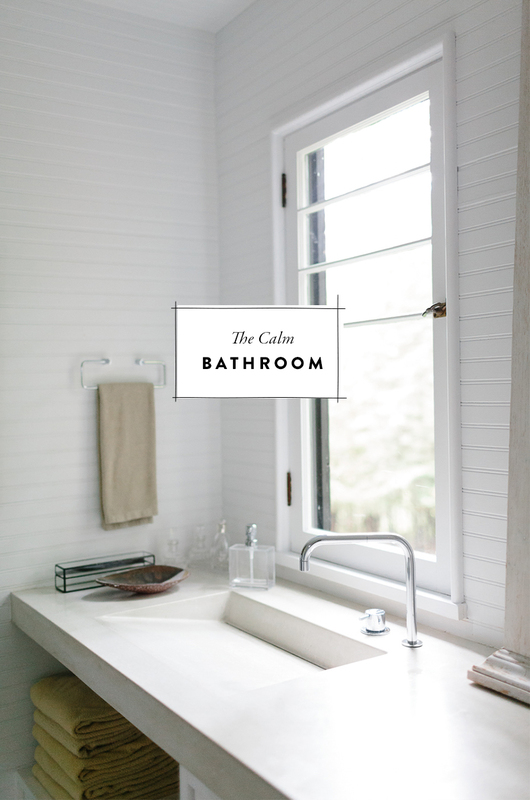 We have been working on making some minor updates to our master bathroom and I am thinking that this is a good time to get intentional about what sits in our space. 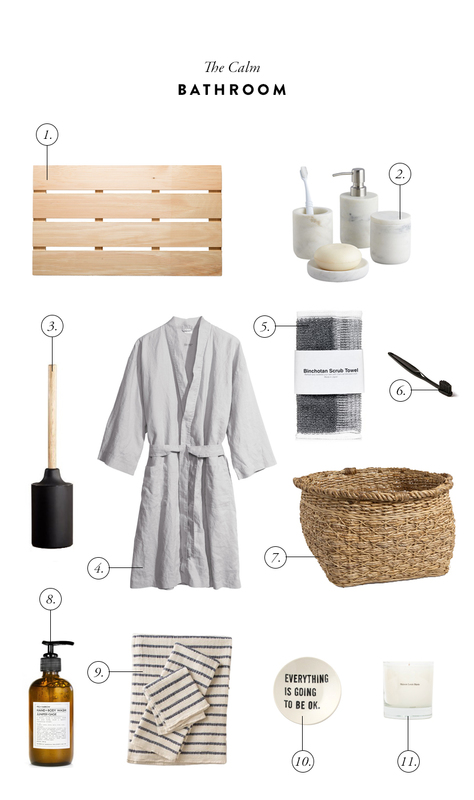 I gathered a few items I am eyeing for our new room and some that I just love the idea of such as an all black toothbrush (!!!) I am all about minimal, but I love it being lived in. These textures, colors, and patterns together create a very calm, simple, and inviting space that I am pretty sure anyone would want to spend the morning in. What is one of your musts to make your bathroom calm and inviting to you in the morning and in the evening? Oh, my kingdom for a bathroom to call my own! Unfortunately as a renter I’m pretty far away from my dream bathroom, but this is such gorgeous inspiration. The sink in the first photo is incredible! I couldn’t agree more that havIng a nice, bright bathroom is a wonderful thing to wake up to! I like having a cozy robe waiting for me and a nice plush bath mat. That sink in the first photo is stunning, and i love the marble container set you selected. I’ve been doing the same with my bathroom, however I’m working with a windowless rental bathroom. There’s some good features though, so I added a cozy white rug, some natural wood, and light colors. I’m also covering a dark ugly countertop with some white marble contact paper to really make the space feel nice and clean.